Partnered social dancing has enjoyed a steady rise in popularity over the past decade as more and more people recognize its social, physical, and emotional benefits. Because “touch” dancing never fell out of fashion in Latin America, Latin dances have evolved to respond to the sensibilities of their contemporary practitioners without loosing their deep connection to a historical legacy. Two of the most popular Latin dances worldwide are salsa, with roots in the Spanish Caribbean, and the Argentine tango. Vibrant communities of salsa and tango dancers can be found in most major cities of today’s globalized world. Although both are danced to music with Spanish lyrics and stem from courtship rituals in Latin American cultures, their distinct charms appeal to different personalities and social groups. Which dance will trip your light fantastic? Here are some insights to help you decide. Salsa, which includes periods of solo dancing called “shines” where each partner shows off his or her fanciest footwork, is an extrovert’s dance. It is loud and exciting, and often demands personal expression through visual spectacle. Tango, in contrast, is about internalizing one’s experience of the music. It is a moving meditation, quieter, and more subtle. A tango partnership is more about listening to each other than it is about vying for the limelight. Salsa is a party dance. Expect a room full of people laughing and joking, escaping the stresses of their daily lives through joyful play. Salsa dancers will often remark that milongas (tango dances) feel more like funerals than parties given their somber atmosphere. But “fun” is not necessarily the goal of tango. 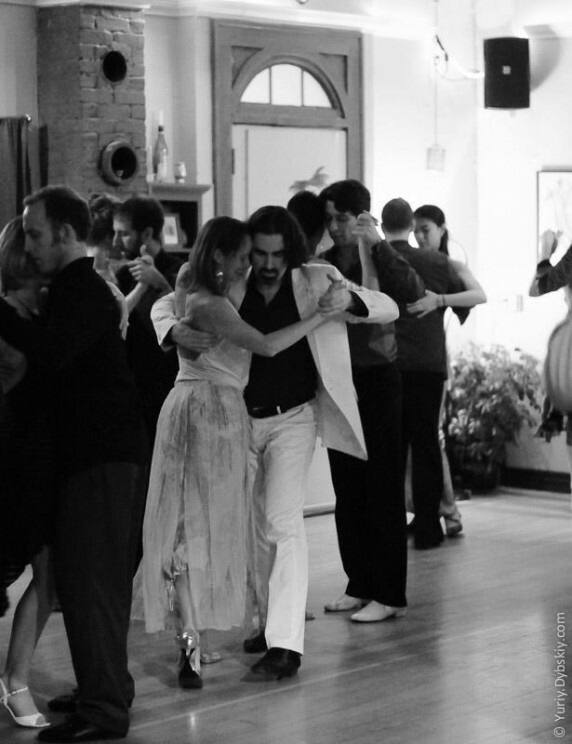 The kind of satisfaction tanguero/as seek might be better described as deep connection or transcendence—the sharing of one’s loneliness in the arms of another soul who also recognizes the pain of the human condition—which translates to fun (albeit of a different kind) for many tango dancers. Which makes you squirm: staring someone in the eyes or hugging a stranger? A tango dance is essentially a three-minute hug. If being very close to strangers (we’re talking chest-to-chest and cheek-to-cheek kind of close) freaks you out, then you might steer clear of tango. On the other hand, a mental health professional might prescribe tango as a means of facing your fears of intimacy. Despite their physical proximity, tango dancers don’t look each other in the eyes and often find the prospect of doing so terrifying. Salsa dancers, however, who might shy away from such extended body contact, stare each other down for minutes at a time. How much time and money are you willing to invest in learning to dance? 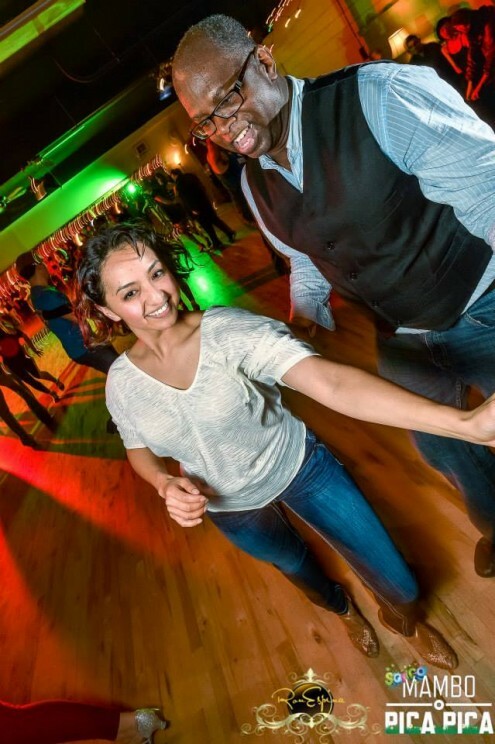 You can be out enjoying dancing salsa after just a few hours of instruction. Of course, additional study can increase your skill and pleasure significantly, but you can expect a rapid return on a relatively low investment of time. In contrast, tango will require several months, if not years, of study before you can expect to enjoy a night out dancing at a milonga. If you can sustain your study and practice, you will likely be rewarded by deep and long-lasting gratification. Are you motivated by long-term challenges? Time and again, I have heard people who speak multiple languages and have earned several postgraduate degrees declare that learning tango is by far the most challenging thing they have ever done. The complexity of tango vocabulary and technique often attracts the overeducated, nerdy, and those who get off on debating how many sacadas (thirty-six? seventy-two?) are possible in tango. Even the social custom of dancing a whole tanda (set) of three-four tango songs with the same person reflects the longer-term commitment required in tango. Commitment in salsa is shorter—a single song with each partner is the norm. Are you seeking to deepen your connection to a pan-Latino community? The term “salsa” to refer to Caribbean dance music gained currency in the 1970s as part of a Latino pride movement rising out of New York and spreading throughout Latin America. Salsa is still strongly connected to Latino ethnic pride and enables many Latinos, especially those living away from their homelands, to negotiate between a national and pan-Latino identity. Tango, on the other hand, is so strongly rooted in its Argentine and Uruguayan heritage that it rarely serves as a means of affirming a generalized Latino ethnic identity. Do you identify as African, African-American, or Black? Salsa is based on a blend of Afro-Cuban and African-American music, so it has Africa pumping through its history from both roots of its family tree. Salsa dance celebrates Africanist aesthetics in, for example, its bent limbs, grounded movement, playful segmentation of hips and torso, and asymmetry. Afro-descended people around the world are drawn to salsa dance and music, and find an affirmation of their cultural heritage in its communities. In contrast, very few black people dance tango (despite the fact that it also has African roots), perhaps in part because Argentina has such a small population of Afro-Argentines. Author Juliet McMains enjoying salsa dancing at the Orlando Salsa Congress. Maria Morales and Cecil Crawford salsa dancing at Mambo Pica Pica in Seattle. Author Juliet McMains and Milton Azevedo dancing tango at Tango Berretín in Portland. Author Juliet McMains in a meditative tango at Seattle Tango Magic Festival. Are you a European immigrant living in the United States? Tango was born from the melancholy and longing for a lost homeland experienced by thousands of European immigrants to Argentina in the early twentieth century. Tango in the twenty-first century continues to draw disproportionate numbers of European immigrants living in exile into its fold. Is being part of queer-identified dance community important to you? Salsa music was popular at gay clubs long before salsa became a mainstream social activity, and the commercial salsa dance industry now accepts a wide range of gender expressions on the dance floor. But there are very few explicitly queer salsa events. Queer tango, on the other hand, has been steadily growing since the first queer tango festival in Hamburg, Germany in 2000. Many cities throughout the world, including Buenos Aires, regularly host queer milongas and sponsor queer tango festivals. Do you want your dancing hobby to double as your workout? If you want to get your cardio on the dance floor, salsa is your dance. Anticipating a deep sweat, many dancers bring a change of shirt (or three) to dances and keep towels in their back pockets to wipe dripping brows. 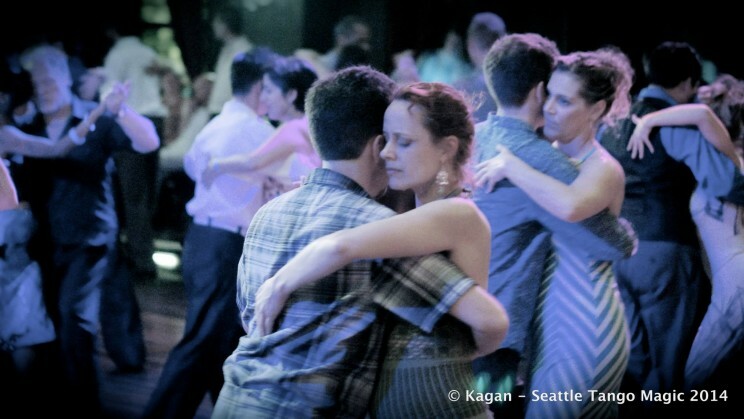 Tango requires refined body control and can be athletic at the high level, but you are not going to burn nearly as many calories at a milonga as you will at a salsa social. Although you can find dancers of all ages enjoying both dances, the median age of dancers at most salsa events is significantly younger than at most tango events. Salsa is usually more athletic and vigorous, attracting youth who have the stamina for its fast turns and acrobatic dips. Tango often takes a more mature practitioner to appreciate its subtlety and fineness. How would you describe your formal dress preference: elegant or hip? Tango fashion is elegant—suit jackets, vests, French-cuffed shirts for men, and silky dresses for women. Salsa fashion trends more towards younger chic—designer jeans and pointed leather shoes for men, and tight tops open at the midriff for women. In both dances, women show a lot of skin, although in tango they showcase the back and ankles whereas salsa clothing calls attention to the belly and hips. If you answered yes, particularly if you are a woman (or a man who enjoys wearing high heels or admiring women in high heels), then tango is your dance. Most tangueras have a collection of tango heels of various colors, brands, and fabrics that could rival that of Imelda Marcos. On just the first shelf of my tango shoe closet rests: Dalmatian-print Comme Il Fauts with red tips, gold glitter Neo Tangos, coral satin Soy Portenas, gold and white sling back Bandoleras, snake-skin Mr. Tangos (in sensible 6.5 cm heels), green and silver soft leather Alma Tango Shoes, and a turquoise pair of flat Taconeando slippers. Tangueros too have dozens of choices when it comes to flashy tango shoes, 2×4 and Fabio Shoes offering some of the favorite designs for men. In general, both salsa and tango dancers consume less alcohol than nightclub dancers. Not only do salsero/as and tanguero/as need to keep their balance and coordination well-tuned, but they get their high from dancing itself, rather than from drugs. However, both tango and salsa dancers will often loosen up with a drink or two. Salsa dancers favor beer since it helps to quench their thirst during vigorous physical activity, and tango dancers enjoy sipping Malbec, another one of Argentina’s most successful exports. Still uncertain whether tango or salsa is the right dance for you? Sign up for a class in both! Some serious dance addicts split their time between salsa clubs and milongas, unable to resist the seductions each dance has to offer. 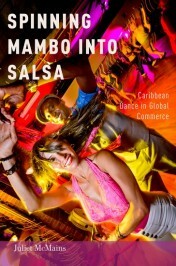 Juliet McMains is author of Spinning Mambo into Salsa: Caribbean Dance in Global Commerce (Oxford University Press, 2015) and Associate Professor of Dance at the University of Washington. Chris, you are right that eye contact in the form of the cabeceo is important for inviting people to dance tango. But once the dance begins, ne’re the eyes shall meet. I am a tango dancer myself, and the part labelled ‘Do You Have a Shoe Fetish?’ absolutely fits me. So much so that I have my own line! Did you know that tango shoes look like the 1940’s multi color (eg black and white) shoes they have on old films? BEAUTIFUL! I really enjoy your article. I am also tango dancer and I agree with you A tango partnership is more about listening to each other. Also, eye contact is must for inviting people to dance tango. I adore salsa dance, because of salsa dancing is completely inclusive and is suitable for anyone regardless of age, or level of ability. By now, the salsa craze seems to have hit every city, with clubs and dance studios popping everywhere. This is a really great rundown of this dichotomy, for people who know neither dance. I discovered salsa first, tango second, but at this point couldn’t live without either one: they nurture different parts of my soul. I always wondered what the difference between salsa and tango were! Thanks for the education; very helpful for someone like me who has never tried either before! It’s great that you talked about the distinct charm of tango and salsa, and how they appeal to different personalities and social groups. I’m really interested in taking Latin dance lesson, and it’s good to know that tango will be ideal for me because of my introverted personality. Thanks for mentioning that tango is a moving meditation, quieter, and more subtle compared to salsa. Thaks for the tips! I’m a Tanguera & a Salsera! I’m a Afro-Latina & I love Tango. Whenever Tango becomes too intense l turn to Salsa! Glad to be part of both worlds! Great article….i enjoy dancing both. My Salsa friends dont understand what i love about Tango and vice versa…hahahahha. El tango argentino es de origen europeo y africano, no es nativo americano, además es incorrecto identificar una danza con Etnia en este caso.